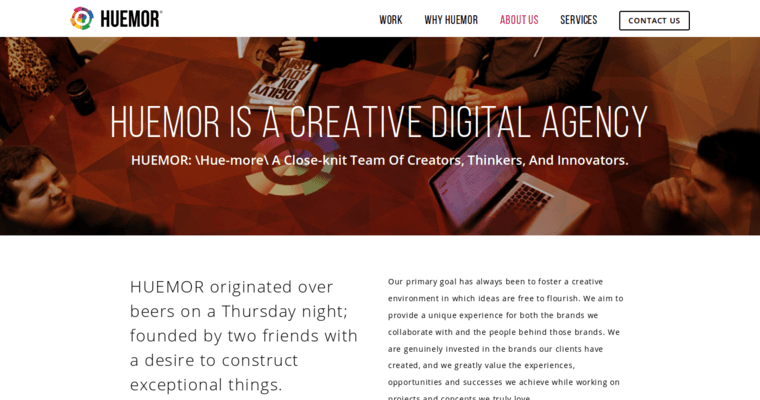 Huemor Designs is a digital agency that offers full service SEO and SEO consultations through Always Found, one of its divisions. The team at Always Found considers SEO strategies from both the search engine's point of view and the user's point of view. By leveraging algorithms with user behavior, Always Found promises to make your website one that is always found. The team does this by developing digital strategy alongside content. The aim is to make a site useful and relevant to searchers, rather than simply search engines. The goal is to build a brand's authority and to provide users with a meaningful experience. By integrating competitive analysis, user personas, technical SEO and strategic optimization, Always Found has increased traffic by more than 75% for businesses in a range of industries, including industrial services and retail. Always Found does not run campaigns. Their philosophy is on development and long-term growth.